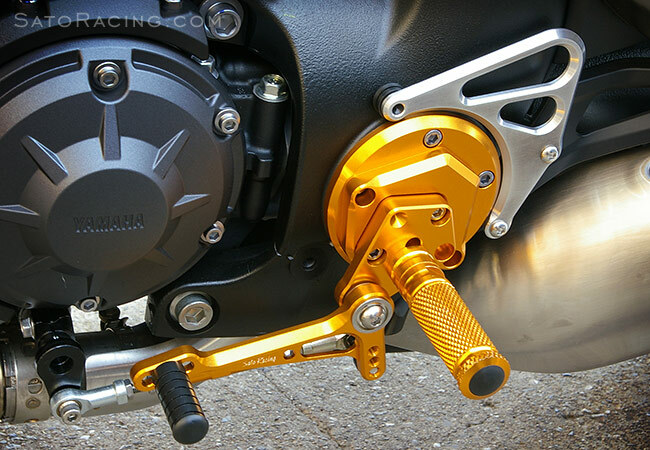 SATO RACING Rear Sets for 2009-16 Yamaha VMAX 1700 are a track-engineered design, precision CNC-machined from high strength billet aluminum and anodized in your choice of Black, Silver, or Gold finish. Select from 10 adjustable positions in a range that brings your feet higher up and further back compared to stock, for a sportier and more aggressive riding position. 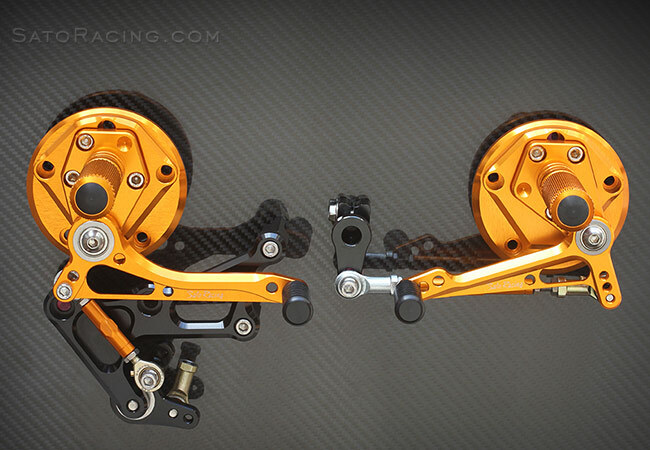 These Rear Sets can be used with either stock shift pattern or reverse shift pattern. ABS compatible. 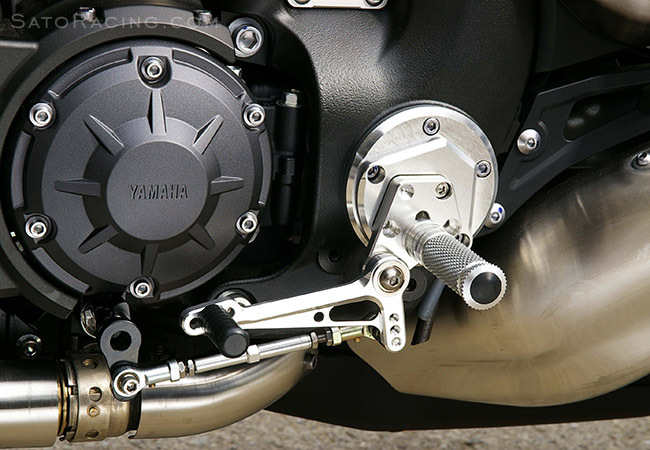 We also offer an optional Heel Guard set that matches our VMAX Rear Sets. with a solid feel. Modular step plate design lets you choose from a wide range of positions. A hydraulic brake light switch is included with our Rear Sets kit. Stock shift pattern shown. 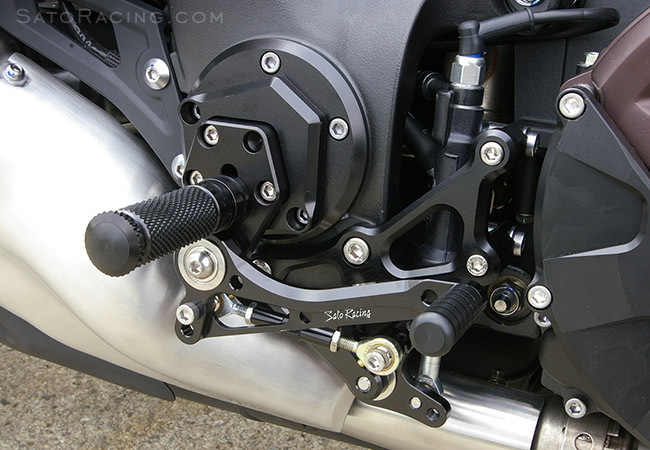 For GP-style reverse shift pattern, flip the shift arm 180 degrees. 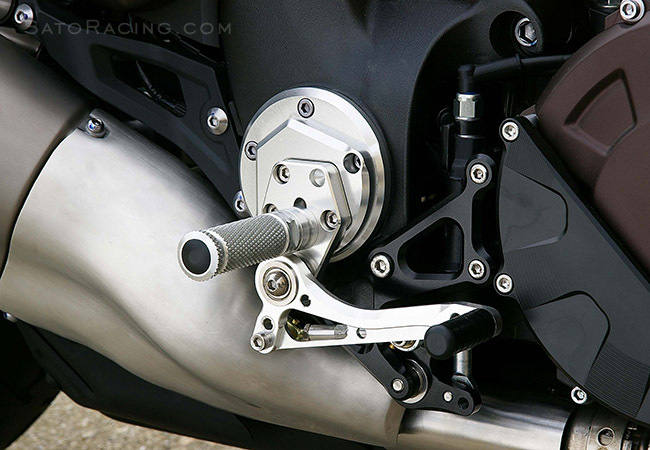 Footpegs feature a finely knurled grip pattern with excellent non-slip characteristics. billet aluminum in your choice of Black, Silver or Gold, with stainless steel bolts.